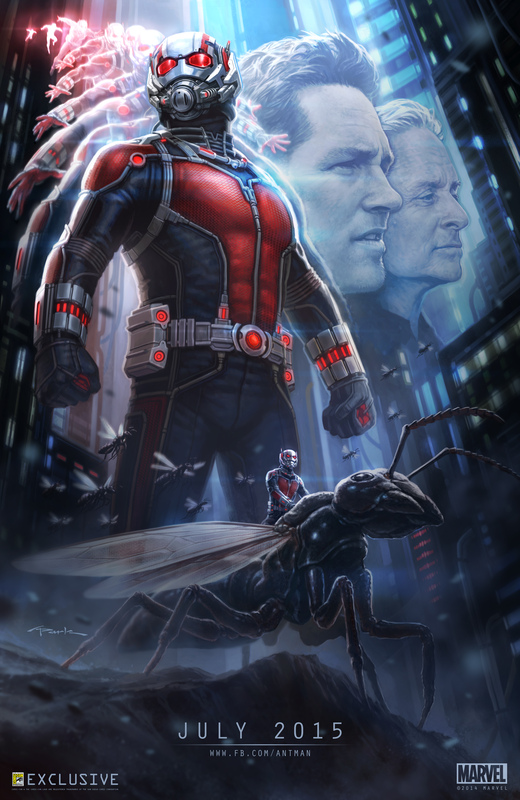 Hang out with The Comic Bug staff and friends as we screen the next Marvel Studios movie, Ant-Man! Watch the next great Marvel movie with comic book fans, who do NOT talk/text/annoy during the movie. Who politely stay seated until the credits are over. Who know when to cheer and laugh appropriately. Who are AWESOME move watchers! Also included with the ticket price is a limited edition print made for those attending the movie. Also receive a coupon to purchase a small popcorn and drink for only $6.50. Also have a great time! Come join us while seats are still available! Seats are all sold out so show up early to get the seats you like!